To our grieving clients, we extend our heartfelt condolences and deepest sympathies for your loss. You are likely reading this because you seek justice and need an attorney to advocate and be a voice for your family. If you've lost a loved one as a result of a car accident, motorcycle crash, aviation accident, or other careless act or negligence of another, our award-winning lawyer will help you and protect your family’s rights. If you've lost a loved one as a result of someone's wrongful or negligent acts, the law provides you with the legal remedy of bringing a wrongful death action. In a wrongful death action, you are entitled to financial compensation for loss of companionship and loss of income or financial support. You are also entitled to obtain payment for medical bills incurred by your family member prior to his or her passing, as well as compensation for the pain and suffering that he or she experienced between the time of the accident and the time of death. You are also entitled to burial costs, which can be a significant cost and financial strain on your family. The insurance company for the negligent actor will usually contest causation. You'll need to build a strong case to hold the negligent party responsible for your loss. 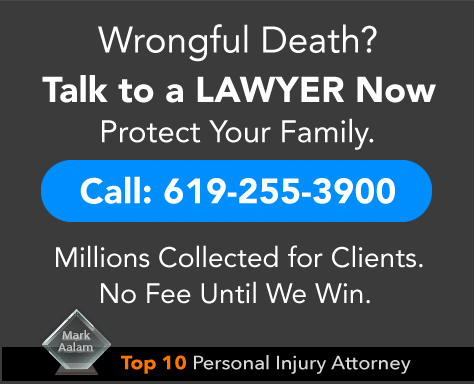 Our award-winning attorney is an expert in personal injury and wrongful death cases and is voted a Top 10 Personal Injury Attorney. With the Injury Law Group team on your side, you and your family have the best chance of holding the negligent party accountable for your loss. We know that you will be spending much of your time healing with your family. 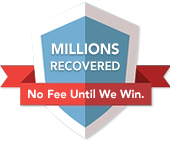 We provide you with aggressive and competent representation by an expert car accident lawyer, motorcycle lawyer, or personal injury attorney so that you can have peace of mind knowing that your rights are being fully protected at all times. We know this is a trying time for you and want you to focus on your family and the grieving process, without worrying about whether you are jeopardizing any of your family’s legal rights. Your attorney at Injury Law Group will keep you updated regularly, and if you ever have any questions, you can call your attorney anytime. We are approachable and we are here for you, always. Contact Injury Law Group today for a free consultation with an award-winning, Southern California Top 10 Personal Injury Attorney. Our dedicated wrongful death lawyers will protect your family's legal rights, while you focus your attention on family during this difficult time of grieving. Have you lost a loved one as a result of a car accident, motorcycle crash, aviation accident, or other careless act or negligence of another? In California, only the District Attorney (D.A.) for your county has the ability to bring criminal charges against the defendant. Criminal proceedings are exclusively handled by the D.A. You and your lawyer cannot do that. Your sole legal remedy is to file a civil action for wrongful death to obtain compensation for loss of financial support and loss of consortium. Loss of consortium refers to the loss of the love, affection, companionship, and physical relationship that was taken from you. As spouse, child, parent, or a sibling, you may be entitled to bring a wrongful death claim against the negligent parties who caused the car or motorcycle accident, or other incident of carelessness, that led to your loss. There is no amount of money that can take away your pain and sadness during this difficult time, or ever. You cannot place a value on human life. We can help you bring your civil action for wrongful death and we will represent you to the fullest extent under the law. But you cannot wait to bring your claim. You need to act now. There are strict time limitations for bringing your wrongful death claim, frequently as short as six months depending upon the circumstances of your matter. If you wait too long, you will be forever barred from bringing your claim and the defendant will be absolved from all liability and never held accountable for their negligent actions. We are personal injury and wrongful death lawyers. We are here to help you. Typically, a wrongful death claim is brought by a surviving spouse or children of the person who has passed. In some cases, other family members, such as parents, may bring a claim for their loss and suffering. Your attorney will discuss all of your options and determine the best course of action, including who can and should bring a legal claim against the negligent actors. Causation usually plays a big factor in determining whether a person or entity is liable for the loss of your loved one. This is because the negligent driver or other person who is responsible will typically blame the person who has passed away since they are not here to defend themselves. Your lawyer that you hire must be their voice. You need an aggressive lawyer who will make sure that the truth is revealed and that justice is served. Wrongful death cases usually pose multiple potentially liable parties, many backed by a strong legal defense because their insurance carriers have a huge exposure. During your initial consultation, your attorney will review any causation issues and explain them to you and help you understand the implications and ramifications they may pose to the outcome of your case.